Stock status is current as of 4/25/2019 10:14 PMET. Get ready with this Vengeance LPX 16GB Memory Kit from Corsair! This kit is a set of 4 memory modules, each of 4GB capacity. Vengeance LPX is designed for high-performance overclocking. The heatspreader is made of pure aluminum for faster heat dissipation, and the custom performance PCB helps manage heat and provides superior overclocking headroom. Each IC is individually screened for peak performance potential. 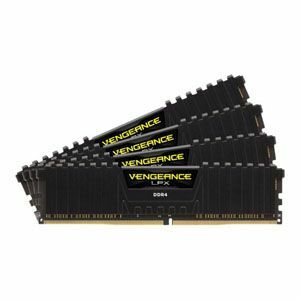 So purchase the Corsair Vengeance LPX 16GB Memory Kit today!